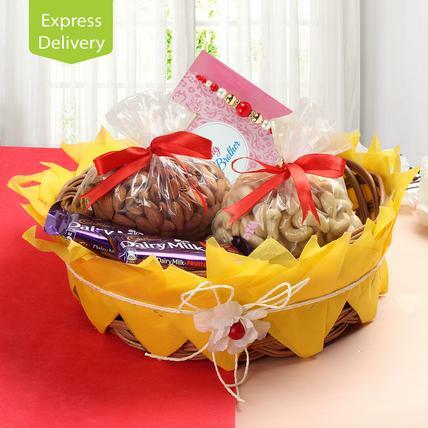 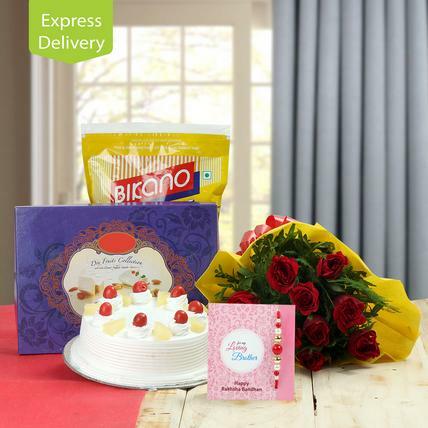 This is a complete rakhi hamper for your bro for Raksha Bandhan. 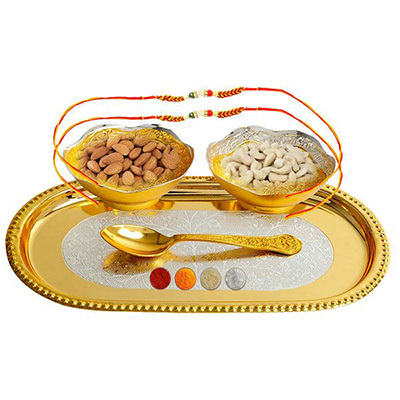 This hamper consists of two fancy rakhis embellished with small beads, one gold plated pure brass serving set comprising of one plate, two bowls and one spoon and 100-100g of almonds and cashew nuts. 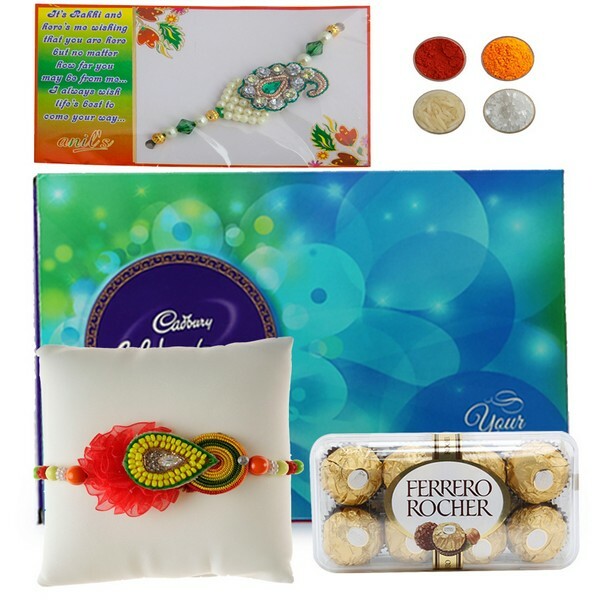 We are offering complimentary roli, chawal, chandan and mishri for rakhi tilak with this product.